First Thoughts Jennifer could write a book about anything and I would be right there waiting in line to read it. Her novels have that kind of magical power that just can turn a bad day into a soaring wonder of a moment, escaping into these beautiful worlds she creates. Windfall sounded like a movie to me in my mind, the way I read the blurb. Then I found out it had been optioned for film the other day! How amazing is that?! I'm SO happy for you, Jennifer, if you're reading this (I hope so!). My Review Windfall? More like the most wonderful, wonderstruck and absorbingly gorgeous novel of the year. Alice is just the most stand-out, brilliant character and how she's written just gels so effortlessly throughout Windfall. The thing is, Alice hasn't had the best life. Her Parents died not long after each other, and she's been secretly in love with her best friend, Teddy, for as long as she can remember. They've both not had the greatest luck, and that's something that ties them together in this unspoken connection. So when Alice buys Teddy a lottery ticket for his birthday and he wins - and wins big - everything they knew changes completely in an instant, sending their lives into different paths and changes the way their lives used to be. 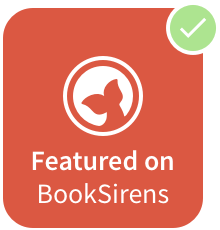 But when you're Alice and Teddy - you have a way of finding your way back to each other, and they are the true stars of this novel, their sheer connection almost 3D through the book pages. Even though Jennifer's previous books have been amazing, Windfall has stolen my heart completely and utterly. I have a great love for this book and these characters, far greater than I first anticipated. I fell head over heels for Alice and Teddy and the way they love. I laughed and I cried through their words and breathtaking moments filled with hope for the future and characters with the biggest hearts. 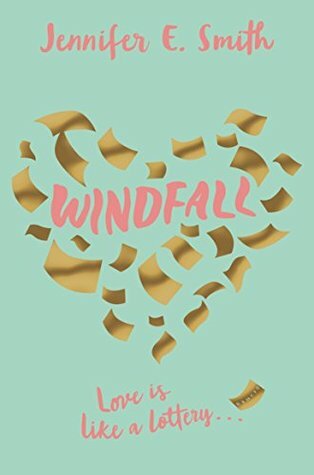 I turned pages far faster than I could comprehend and I finished Windfall in a day, happy and sad at the same time that it had gone by so fast (I just want to read it again, already!). There's a special kind of something in Jennifer's latest book that makes my heart happy - not just a notion but a firework of feelings; happiness and beauty and hope for everything in life. Overall, Jennifer has clearly outdone herself yet again. Just when I thought that This Is What Happy Looks Like, was my favourite Jennifer book, Windfall has come out of the shadows and straight into the spotlight, brimming with heartfelt moments, hope and the power of pure love and friendship. If you're going to delve into one YA read this year, make it this one. Without a doubt, I cannot imagine anyone not loving this book. It has my heart - five stars completely.